Within the past one month top Nigerian artistes like Reekado Banks, YCEE and Tekno have all said goodbyes to their former record labels. It’s very often a norm for Nigerian artistes to set up self owned record labels after their contract with their previous music imprints expire. Sometimes the cutting of ties between these artistes and their ex labels get messy with legal battles dragging on. Typical examples of these type of scenarios have ensued between Runtown and Eric Many, Kizz Daniel vs G-Worldwide, Harrysong and Five Star Music etc. Besides the fighting which often ensue, some artistes in the past have parted ways with their former music imprints and their career began taking a nose dive. From being the rave of the moment, their impact slowly decline as their music get less and less attention. There are again many examples of artistes who fall into this category. Unfortunately, some have often failed to bounce back into mainstream acceptance. For about five years Don Jazzy’s Mavin Records has been home to pop star Reekado Banks. His first major breakthrough into the music industry was on the Mavin all star track ‘Dorobucci‘ which he handled the hook. Since then the singer has gone ahead to win personal awards and recorded hit tracks. While at the label he released his debut album ‘Spotlight‘. On his 25th birthday last December, Reekado Banks announced he has moved on from Mavin Records to set up his on Banks Music, a very peaceful and smooth transition. Only a few weeks into 2019, Augustine Miles Kelechi better known as Tekno subtly announced he is a CEO of Cartel his new outfit. The singer enjoyed massive growth under Ubi Franklin’s MMMG to become one of the hottest music stars in Africa since he joined in October of 2013. Although he spent about 5 years on the label, he was unable to release an album or an EP. However, he made continental waves with smash hit singles like ‘Duro’, ‘Diana’, ‘Rara’, ‘Pana’ etc. Just before last year ended Tekno was less active following the damage on his voice box which saw him cancel booked concerts. Also setting himself up as a boss is YCEE who is now CEO of The ANBT Company. The rapper stroke national stardom after his 2015 song ‘Jagaban’ turned a massive hit. He continued the rave with other hits like ‘Omo Alhaji’, ‘Juice’ etc. Finally his 6 years stint at Tinny Entertainment ended. He formally announced his exit on social media while also unveiling his own company. 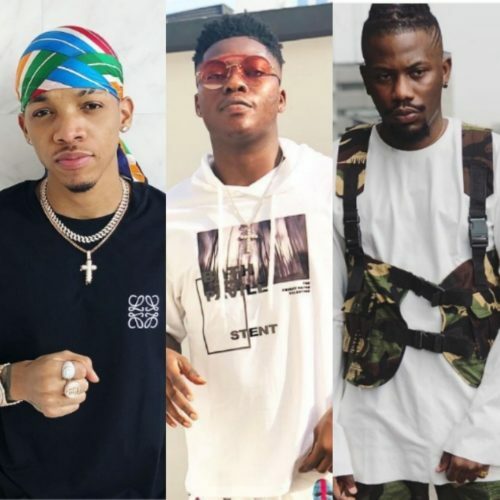 Following the hot form these three artistes Reekado Banks, Tekno and YCEE enjoyed at their former record labels, how much better would they fare on their own? Would Tekno do better than he did at MMMG? Would YCEE do much better as his own boss? Would Reekado Banks unlock his next level of greatness after Mavin Records?